E-Sub drivers employ our exclusive DMA technology to optimize the drivers’ motor strength, ensuring linear behavior over a very long excursion range. Unlike typical steady-state modeling systems, DMA takes into account the dynamic shifts created by current flow and back EMF under real power conditions, with real program material. The payoff offered by DMA optimization is a driver that faithfully tracks its input signal, at all listening levels, leading to superior bass definition and dynamics. The extreme mounting depth of the E-Sub driver is very deliberate. It permits wide gaps to exist between the three suspension elements (the rubber surround and the dual spiders), imparting exceptional mechanical stability over the driver’s full excursion range. This further improves linearity, reduces distortion and enhances long-term reliability. In a stroke of engineering elegance, the E-Sub’s steel front mounting flange forms the entire front baffle of the finished product, while the driver’s back-plate is threaded and bolted to the rear wall of its enclosure for support. To power these innovative drivers, we engineered a completely new switching amplifier with a regulated, switching power supply, making its chassis more compact, lightweight and efficient, while still delivering ample, clean power to fully exercise the E-Sub driver’s performance envelope. Conveniently controlled from the E-Sub cabinet’s top panel, the amplifier incorporates studio-grade signal processing to make adjustments a much more enjoyable experience than rear–mounted controls found on most powered subwoofers. An attractive cover hides and protects the controls during normal use. 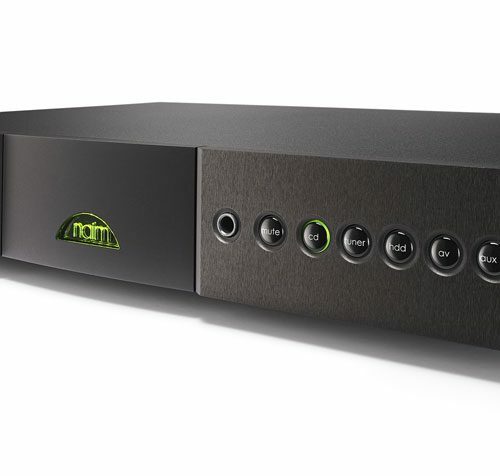 The feature set has been designed to allow the use of E-Subs in a wide range of applications, from full home theater systems to dedicated two-channel music systems, to desktop audio workstations. Analog inputs are provided for unbalanced line-level signals or speaker level signals. 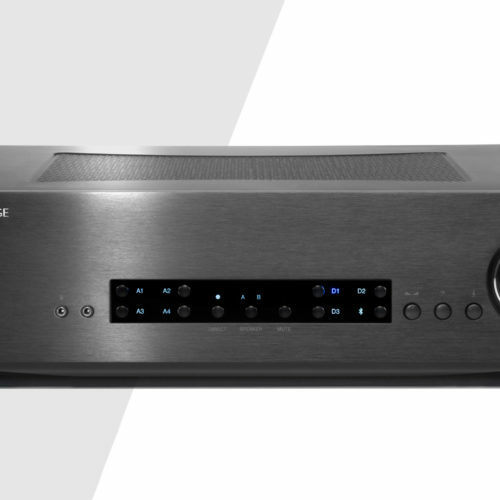 Dedicated line outputs are included to make a bi-amped system arrangement with no additional hardware required. Useful in combating ground-related noise problems, a rear panel switch configures the line level inputs as grounded or isolated. 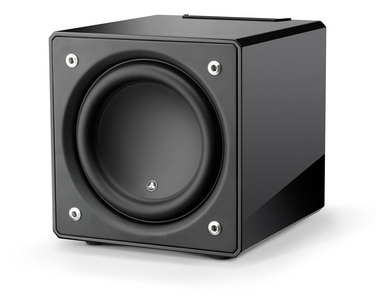 The E-Sub’s active crossover is a true two-way, 4th order Linkwitz-Riley design, with a low-pass filter feeding the subwoofer’s amplifier and a high-pass filtered signal exiting its line outputs. 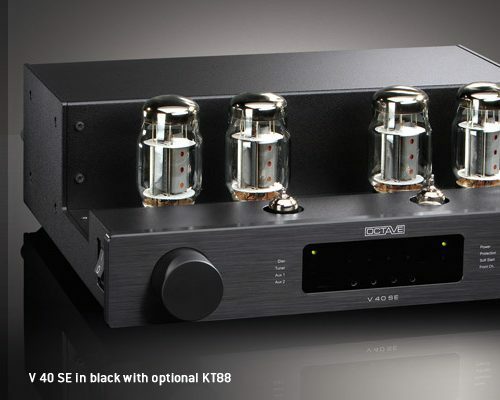 When the on-board crossover is defeated, as is typical in a home theater installation, the line outputs deliver a pass-through, buffered signal identical to its line inputs, easily permitting multiple E-Subs to be interconnected in a ‘daisy-chain’ arrangement. Switchable polarity and a fully variable phase control round out the signal processing section. All signal processing is performed in the analog domain, ensuring very low latency in critical applications. Precision-built in JL Audio’s U.S. factory, all E-Sub are individually performance-verified and tested to deliver years of listening enjoyment in your home audio or home theater system.